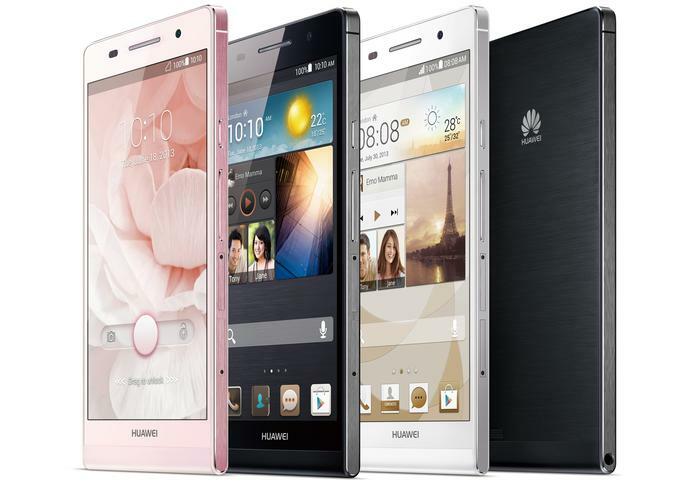 Huawei is claiming its new Ascend P6 is the "world's slimmest smartphone"
The latest range of flagship smartphones haven't really broken any new ground, with most models featuring similar specifications and features. Chinese manufacturer Huawei is attempting to change that with its new Ascend P6. It has claimed the phone is the "world's slimmest smartphone" and has equipped it with an "industry leading" 5-megapixel front-facing camera. The key feature of the Ascend P6 is clearly its design. At just 6.18mm thick, Huawei claims the device is the world's slimmest smartphone. It's also very light at 120g so the size and weight compares very favourably against the alternatives from more established brands like Samsung, HTC and Sony. The Ascend P6 has a metallic body so it is a closer comparison to the HTC One rather than a device like the Samsung Galaxy S4. It will be available in black, white and pink colour variants and Huawei will sell a range of matching colour cases. The Ascend P6 measures 6.18mm thick and weighs just 120g. Achieving the thin and light design is helped by a slightly smaller screen than most of its competitors. The 4.7in display also has a lower 720p resolution of 1280x720, so it won't display the same crisp text as full HD screens. However, the difference is pretty small and shouldn't detract from the overall user experience. Like the Nokia Lumia 920, the Ascend P6's screen can also be touched when wearing gloves. One new feature is the front-facing camera, which uses a 5-megapixel sensor. Most competing smartphones use a 2-megapixel front camera so you can expect the Ascend P6 to take excellent quality selfies. The front camera is aided by an auto facial-enhancing setting, while the rear-facing 8-megapixel camera has an f2.0 aperture, a 4cm macro view, and a panorama mode. It also doubles as a full HD video recorder. 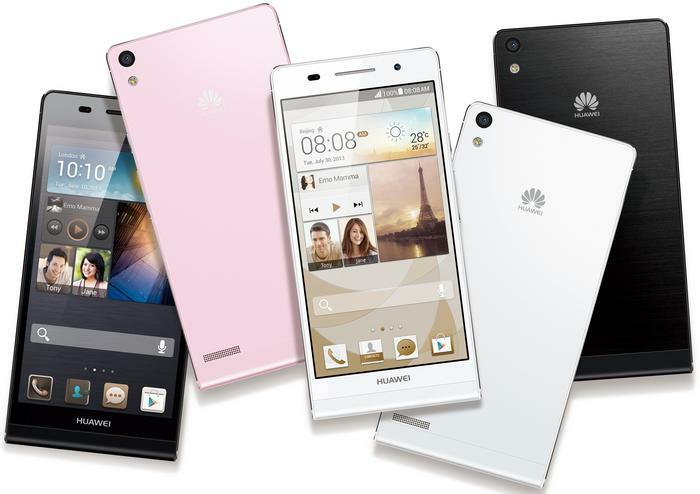 The Huawei Ascend P6 will be available in black, white and pink colour variants. The Huawei Ascend P6 is powered by a 1.5GHz quad-core processor, has 2GB of RAM and comes with 8GB of internal memory. A microSD card slot allows users to expand the memory. The Ascend P6 will work on all Australian 3G networks, but it's not a 4G-capable device, which is disappointing. The Huawei Ascend P6 runs the latest 4.2 Jelly Bean version of Google's operating system, but is skinned with Huawei's proprietary Emotion UI. Interestingly, the Emotion UI doesn't include an applications drawer, so all apps sit either on the home screens or the dock. Huawei used the same system on its 6in Ascend Mate smartphone. The Ascend P6 has a 5-megapixel front facing camera. The Huawei Ascend P6 will launch in China from June and should be available in Western Europe from July. Huawei Australia says there is "nothing to announce regarding an Australian launch" but told us to "stay tuned". A promotional video of the Huawei Ascend P6 can be viewed below.